Finnair is scheduling all its aircraft with flat-bed seats in their Business Class cabins to operate on just nine of its long-haul routes. From April 1, Finnair will dedicate aircraft with flat-bed seats in Business Class to flights to Tokyo and New York, and from May 1 to Beijing and Seoul. As of June 1 the Finnair Business Class flat-bed seat allocation will also extend to the aircraft operating the airline’s routes linking Helsinki with Hanoi, Hong Kong, Nagoya, Osaka and Shanghai. The new seats are a result of Finnair’s €29 million ($40 million) program to retrofit most of its widebody fleet of Airbus A330-300 and Airbus A340-300 aircraft. 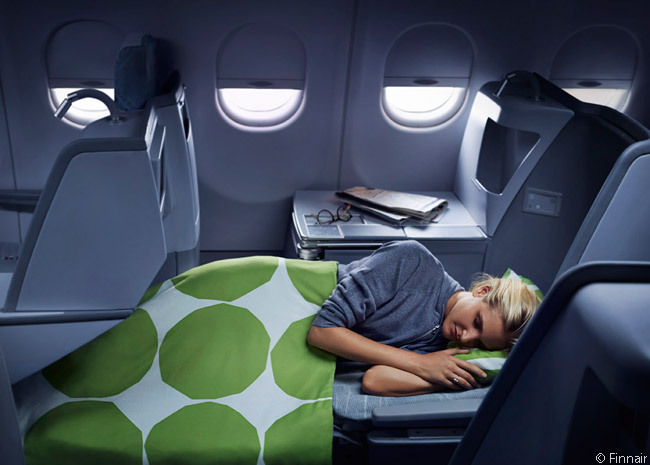 Finnair’s Zodiac Seats UK Vantage Business Class seats – already in use on the airline’s four newest Airbus A330-300 widebodies – are designed so each provides a fully flat bed of up to 200 centimeters (79 inches), with shoulder room of 58 centimeters (23 inches). Each fully adjustable seat also comes with an individual reading light, adjustable head rest, mood lights and a range of in-flight entertainment options. After the full-flat retrofit program is complete, all but three of Finnair’s long-haul Airbus fleet will have full-flat seats in Business Class, the only exceptions being three older A340-300s due for retirement from the Finnair fleet in 2015. According to Finnair, aircraft maintenance or other technical reasons may mean designated full-flat routes still being served from time to time by these older aircraft, which feature angled lie-flat seating in Business Class. 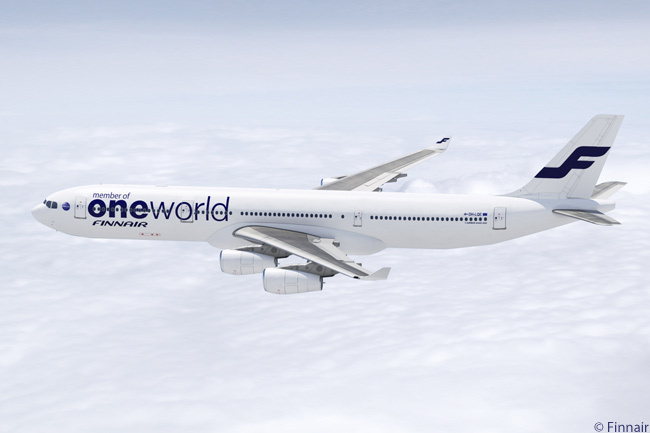 These three A340-300s will be the first to be removed from the fleet as Finnair begins taking delivery in 2015 of 11 Airbus A350-900 widebodies it has ordered. 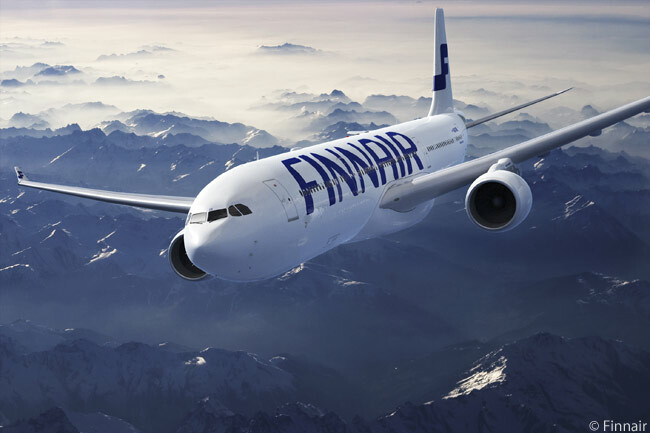 Finnair currently operates eight Airbus A330-300s and seven A340-300s in its widebody fleet, which serves a network of 15 long-haul destinations in Asia and North America. The 11 A350-900s Finnair has on firm order (it has also optioned eight more) are due for delivery beginning in the second half of 2015. According to Finnair, these aircraft will help the airline double its revenue from Asian destinations by 2020. Finnair will be the first European airline to fly the Airbus A350 XWB.